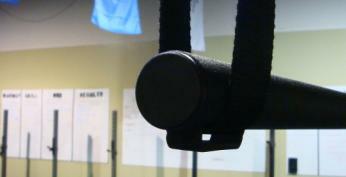 Get going and get some pull-ups while you're at it! 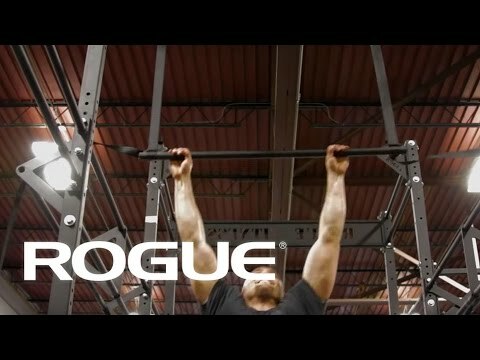 The Rogue Portable Gymnastics System (or RPG, as it's known around the Rogue Compound) allows pull-ups to be performed anywhere you can get the straps over. Utilizing the same pair of 1 1/2" wide 16' straps that come standard on the ROGUE Rings, setup and tear-down takes mere seconds. The bar is hand built in the US from steel and coated using the same multistage process that gives the ROGUE Rings their distinctive, and now famous, feel. The RPG allows the user to perform a wide array of gymnastic movements in a myriad of terrains from a lone warrior's basement to the most austere of forward locations. At Rogue we want to make sure that we deploy the safest products possible and provide our users with the best safety protocols we have available. Gymnastic ring straps are wear and tear items so inspection and disposal are imperative. To see safety protocols, click here. Make sure you are rigging the competition ring straps per the instructions. RPG System is rated 4.0 out of 5 by 1.